Called by many ‘a home from home’, with its friendly staff, comfortable accommodation and beautiful grounds, Lendrick offers many delights to visiting groups. Mountains, lochs, waterfalls and breath-giving walks are all around. Part of the magic of Lendrick Lodge is the variety of groups that visit, and practices that can be trained in here. 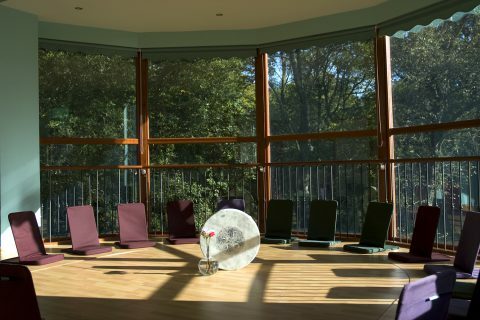 From International teacher training courses to small intimate gatherings, Lendrick Lodge is the perfect venue to host your successful seminar or retreat. Hosting your own unique event is the culmination of a lifetimes work and journey. You are sharing the gifts of your life experience, training and radiating your passion. 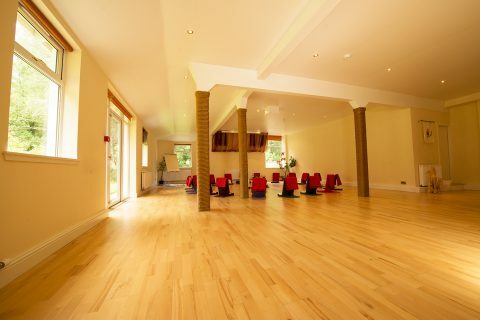 Lendrick Lodge is the perfect retreat venue for some of the most amazing teachers in the world. From mystics to scientists, Lendrick Lodge is the container through which teachers can flow an essence that is nothing short of miraculous. For 27 years people from all over the world have found a home from home at Lendrick Lodge retreat centre. The healing qualities of the land and indeed the building are tangible and undeniable. You deliver an amazing workshop that you can be proud of. Everyone at Lendrick Lodge supports your work by providing love, overflowing joy and food that many teachers have described as the best they have experienced at any centre in the world. Lendrick offers many delights to visiting groups. Special dietary needs accommodated (vegan/wheat-free/mushroom-free/dairy-free, with small supplement payable to cover higher preparation costs. It was a true delight for me to teach at Lendrick Lodge. The staff, the space, and the land were a continual source of nurturance on all levels. Lendrick Lodge provides a healing environment to learn and regenerate. The land is spectacular and the staff know how to welcome all. Lendrick Lodge provides healing food for the body, mind, and soul! Sandra Ingerman, teacher of shamanism and author. The staff are fantastic, the environment healing and I leave feeling rejuventated despite the fact that I am leading the course.